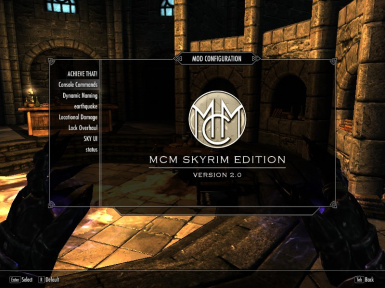 There is an MCM version (recommended) and a normal version that's in the help section of the pause menu! A few minor changes in the Basic version. Very handy for the forgetful person. I have not tested every single one, but I have used quite a few of these myself. 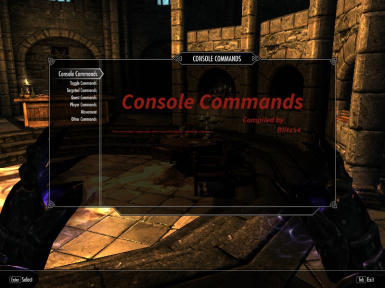 If there are any other console commands that are not listed on the site but I should have, please tell me so! I'll be glad to add any extras. To access the list open up the pause menu, go to help, and scroll down to Console Commands. In there will be all of the commands, categorized by type (as on the site). To separate the command and the description, I placed 7 periods between them. So obviously do NOT include all the periods when typing them in. 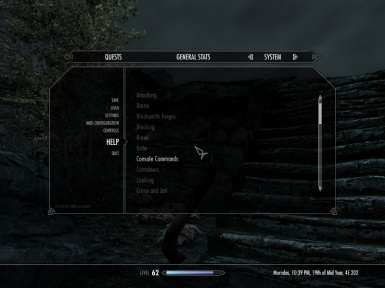 You must first have SkyUI installed (latest update). 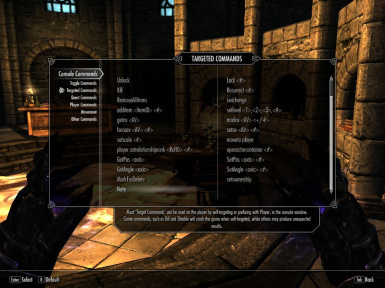 Simply navigate through the pause menu, to mod configuration, then console commands. 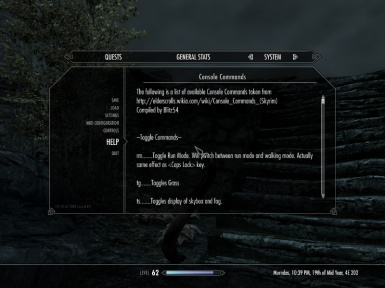 Within there is 6 categories with all the console commands. The description for a command can be seen in the bottom box after selecting one of the listed commands above.